My tranquil place last weekend, Houlgate beach, Normandy, France. There was the odd other person there but mostly just seabirds strutting their stuff. 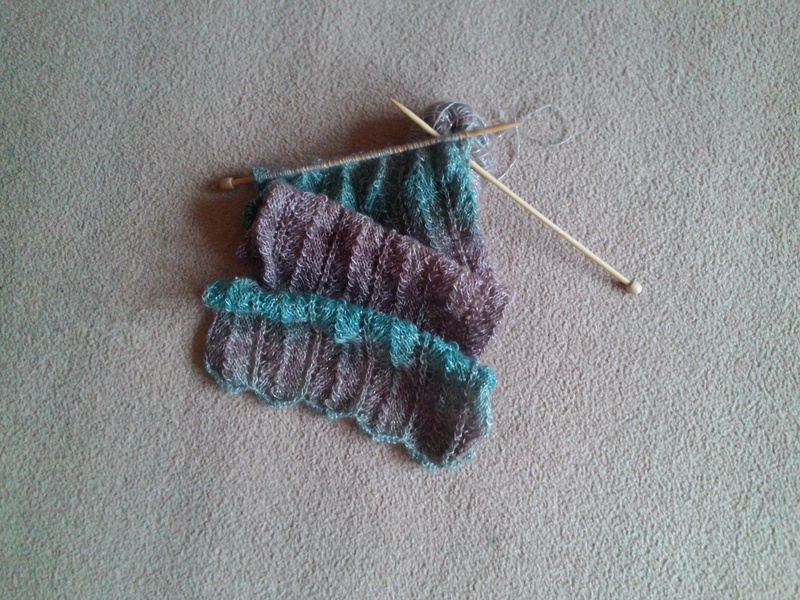 It was a bit chilly to knit at the beach (well, it is November! ), so back to the house for some more calm, a hot chocolate, yarn and sticks. The basket of grey from last week is growing slowly into a chunky shrug. Progress so far. This entry was posted in Uncategorized and tagged beach, France, Houlgate, knit, Normandy, yarn. A woollen tale: A basket full of opportunity or just another disaster?